In today’s edition of homify 360 we head to Bali, Indonesia. Venturing out between the palm trees and sandy beaches, we can witness colourful festivals and taste the delicious exotic fruits. We pay a special visit to a contemporary villa that will make your desire for travel and change grow! 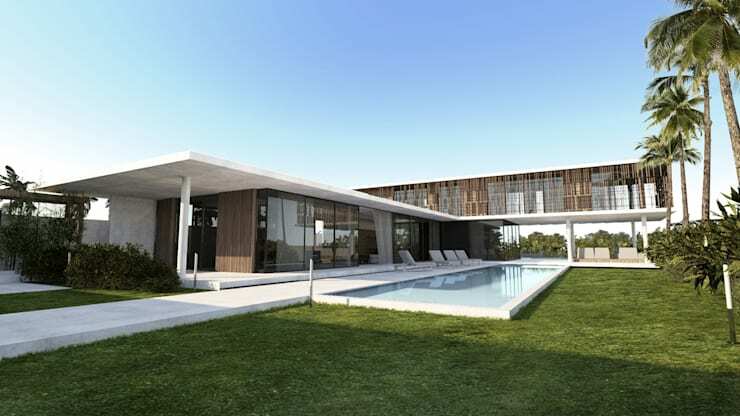 This villa conforms its modern, clean lines with its Indonesian landscape. It may also reach far beyond your exotic dream. The area faces certain geographic constraints such as wind, monsoons and the dangerous encroachment of some wildlife species. So, let's continue with a tour of one of the most beautiful houses you've never seen, designed by master French architects, Arrivetz & Belle. In this Ideabook we are privy to perpendicular rooms overlooking central grounds that gradually allow the inhabitants to catch a spectacular glimpse of priceless sea views. The shutters create a intimate interior as necessary, while the ground level provides extra comfort to this graceful wood and glass home design. 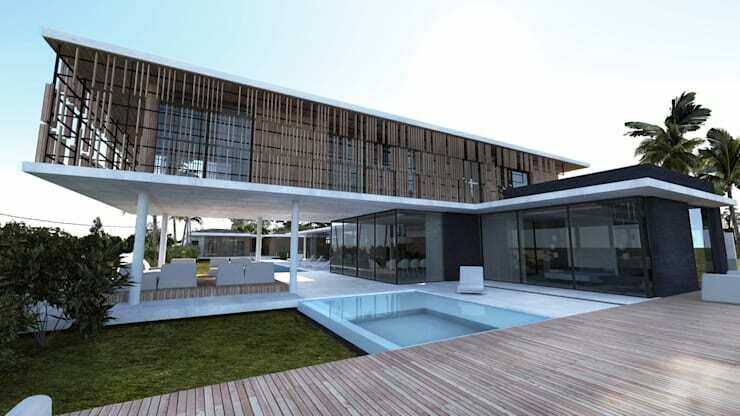 The entire architecture maintains modern yet Indonesian style through technical lines and designs. Under the imposing top floor we discover the summer lounge area, which is maintained as a raised outer space with views of the rice fields, allowing for serenity and deep contemplation surrounded by nature. A jacuzzi has been included into the outdoor pool area for a completely relaxing experience. This bold and serene space creates a sophisticated edge even though it is set in a natural environment, allowing the stones, rice fields and sky to set the tone. The architecture is discreet and intimate, and lets the wild landscape that is open to winds become part of the overall atmosphere. The harmony of its neutral tones, sharp angles, tapered ridges and variations of exotic wooden mosaics merges into the strong architecture of this home. 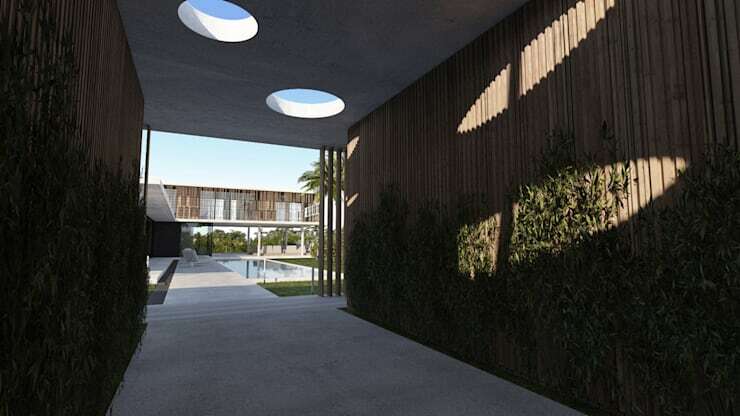 With the primary objective in order to highlight the landscape, while the large pond reflects the villa, its modern lines and panoramic views elegantly. The living space is illuminated and beautiful spanning the entire space of the ground floor. 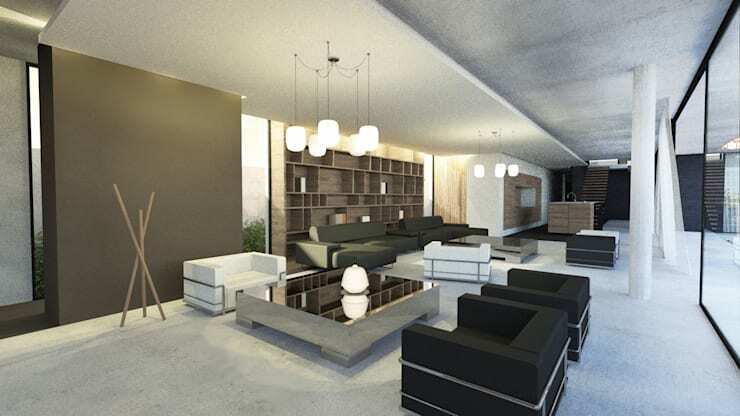 Exceptional works of contemporary art provide an intriguing black and white interior environment. The whole living room has a fresh perspective, while the library is wonderfully reflected by the mirror effect of the two coffee tables. Following the living room is the open planned kitchen with its centre-island that can be seen beyond the wooden library lounge area. The kitchen appliances are embedded in the wall with wooden elements used here too, while a staircase situated inside the kitchen leads the way to the bedrooms. This room was created following a very simple design and decoration. 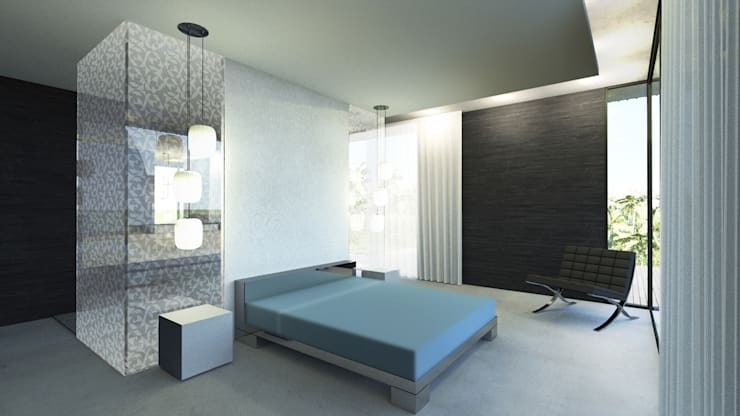 The headboard is created from a white divider panel that reaches the ceiling and contrasts the effect of the small bench and other furniture while remaining minimalist too. A glass panel decorated with romantic motifs hides the dressing area, creating a private space. The homify team always keeps their list of bedroom designs and features updated so have a look at the compilation of inspirational ideas to make your space instantly more designer! Located at the garden entrance of the house is an arch that has been decorated with bamboo trunks wonderfully blending into the surrounding landscape of the island of Bali and making use of traditional materials in the area by magnifying the building. This contemporary design is also found beyond the extension of the arch, which opens onto a back patio created from white gravel and an amazing wall fountain feature for true bliss. This angle of the beautiful Indonesian home gives us an instantly different angle to the rest of the residence and building, being almost introverted in style, which contrasts directly with the openness of the garden and the interior. 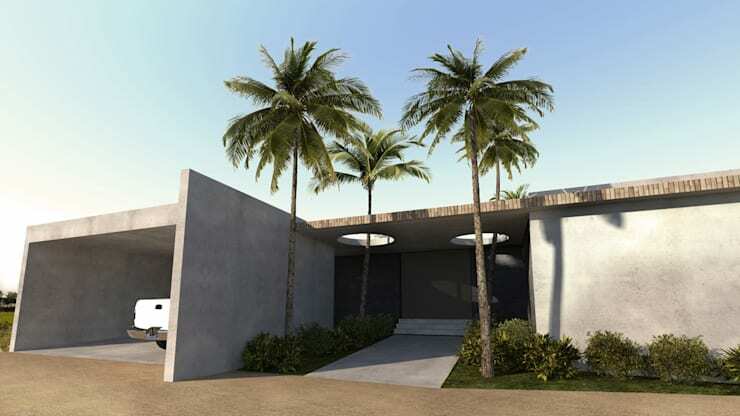 The addition of palm trees at the front of this building maintains that island style living, which creates a fun and vibrant atmosphere filled with all the comforts of modern living that are both functional and practical! If you liked enjoyed this incredible home, feast your eyes on: The Incredible Luxury Home on a Cliff. Would this be your dream home? Or perhaps you prefer something a little more modest? Let us know your thoughts!